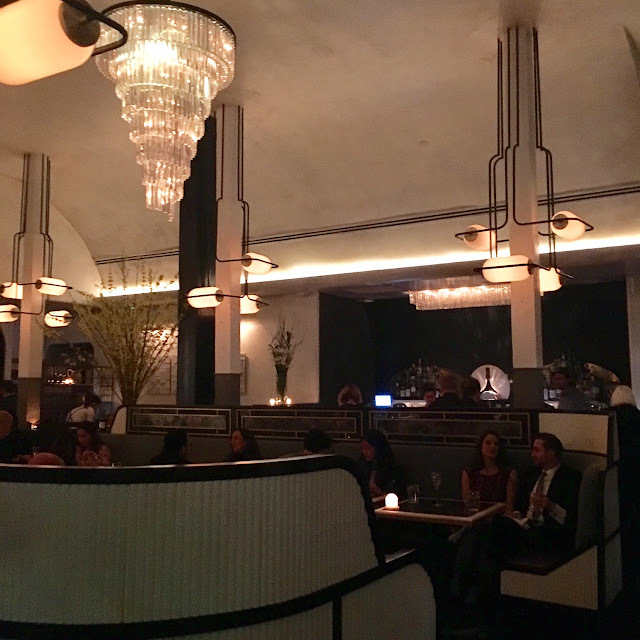 I was a fan of Curtis Stone's first restaurant Maude. The concept of that restaurant was interesting and the food was delicious (although it has been going downhill in my opinion since changing chefs). When I heard he opened a new restaurant, I knew I had to check it out. As painful as it is to say this, his new restaurant fails to deliver on food, service, and attention to detail. Gwen is located on the border of Hollywood and the city of Los Angeles. His new restaurant Gwen consists of a butcher shop and serves only a prix fixe menu similar to Maude (with a lot less courses served). When the hostess called to confirm my reservation, she was a bit rude and unfriendly. Ok, so I thought maybe she had a bad day and maybe the reviews about the restaurant as of late have been jaded. Regardless I was still hopeful. We arrived promptly at 8:30pm and were greeted by Luke Stone (Curtis' brother). The interior was lovely and classic with a touch of sophistication. 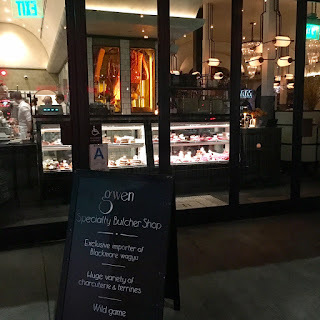 The butcher shop is a beauty in itself with gorgeous cuts of meat on display for purchase. FIRST COURSE. The charcuterie plate was actually pretty good. 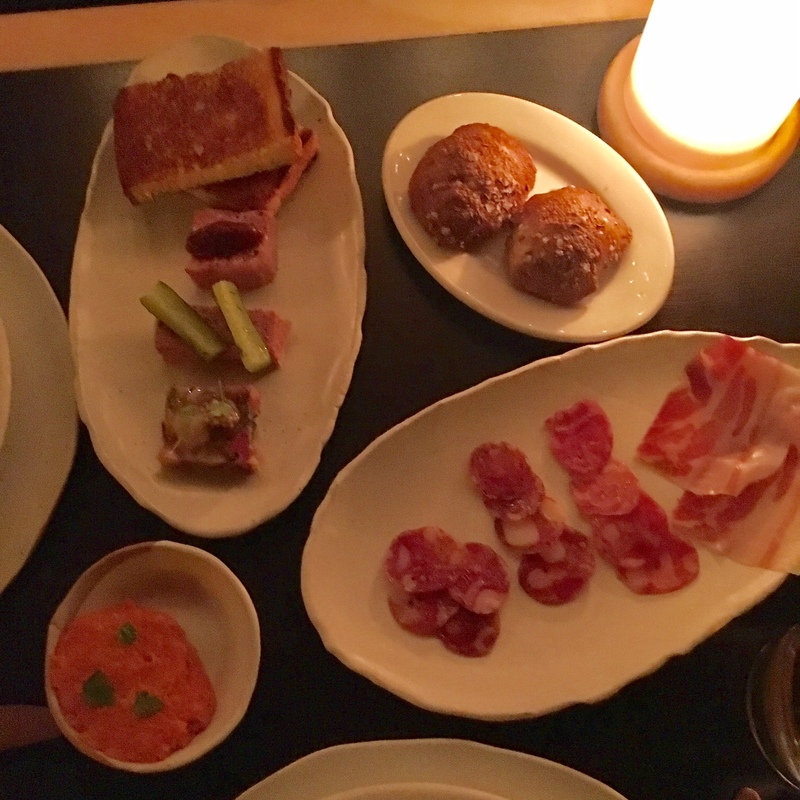 I loved the cured meats and the chorizo tartare spread was the best thing on the plate. It was a bit spicy and smokey, but not overpowering. This was a good start to the meal. SECOND COURSE. The second course was ok. My company actually thought it was pretty disgusting and couldn't even eat it (he has a good palate). I thought it lacked acidity and balance. The dish could be much improved. THIRD COURSE: The pasta course consisted of agnolotti. I actually thought it was pretty interesting but in a good way. 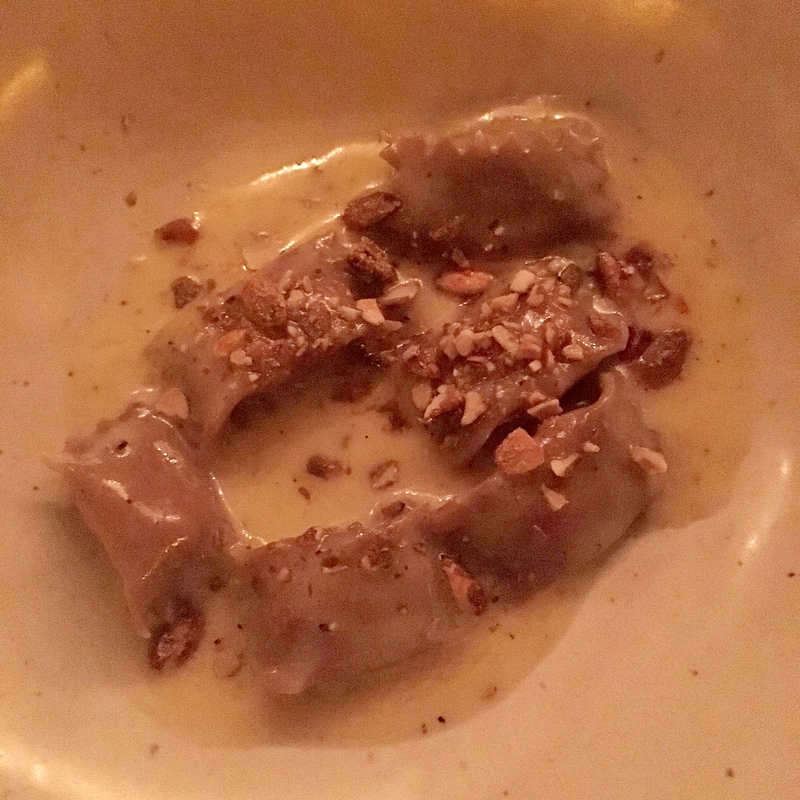 I've had way better agnolotti at other restaurants, but I thought the pasta was cooked perfectly. MY FAVORITE DISH. 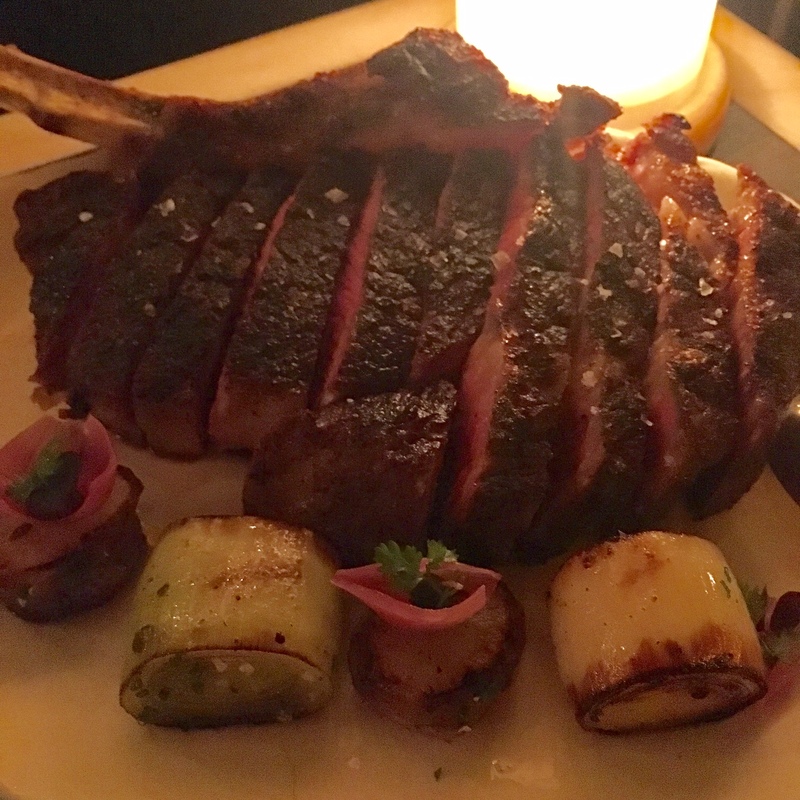 FOURTH COURSE: The bone in ribeye was actually really good. It was my favorite dish of the night. It was cooked perfectly to a medium-rare (surprised they didn't ask how we wanted our meat cooked). It had a good amount of flavor and a good balance of meat and fat. This was the highlight and it should very well be since this restaurant does contain a butcher shop. 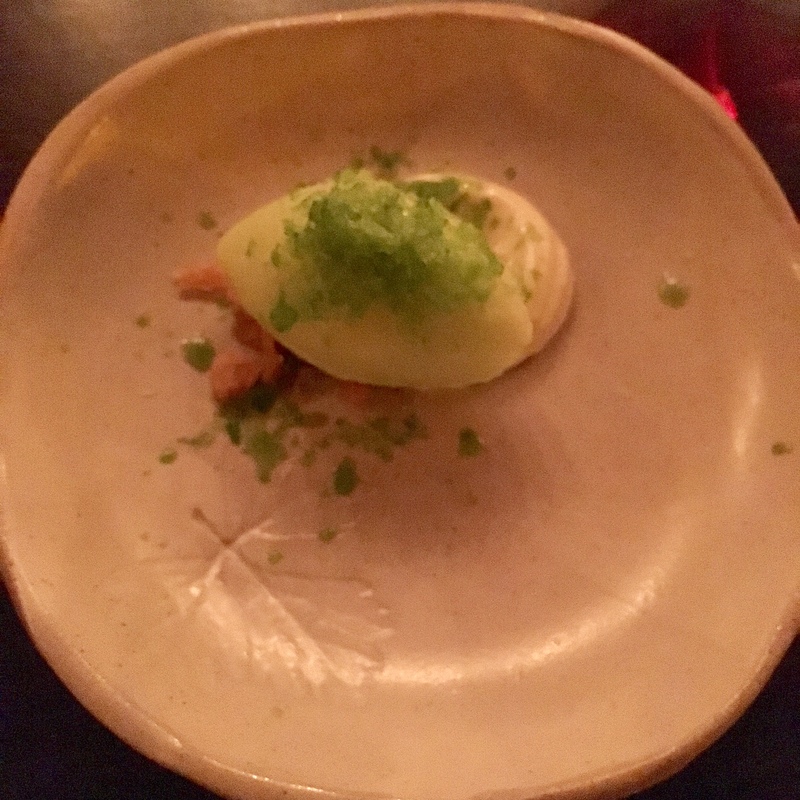 Palate cleanser: Cucumber sorbet. Yes, it was weird, but not bad. It was good cause it wasn't as tart as I would've expected. FIFTH COURSE: The dessert was actually really good. It was up on being one of the best dishes of the night. It had great texture with crunch and creaminess with just the right amount of chocolate without being overly sweet. 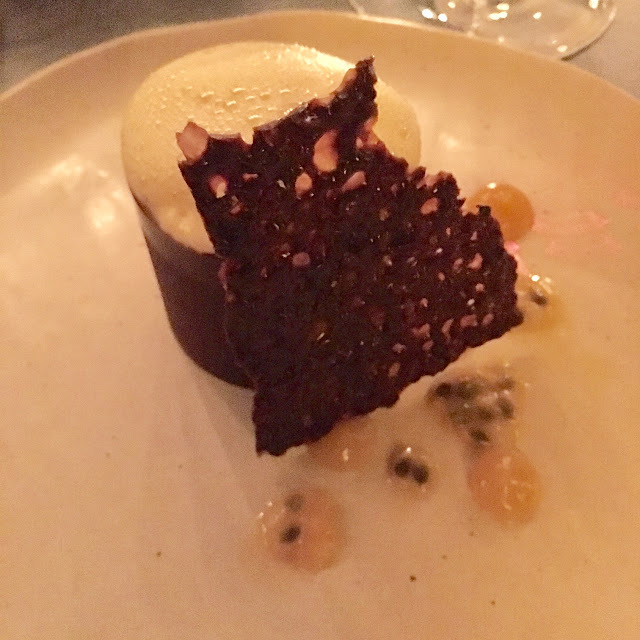 The passion fruit was a bit too tart and kinda overwhelmed the dish a bit. Overall, Gwen is a disappointment. For a Saturday night, the restaurant wasn't as packed as I thought it would be. The service was pretty horrific. 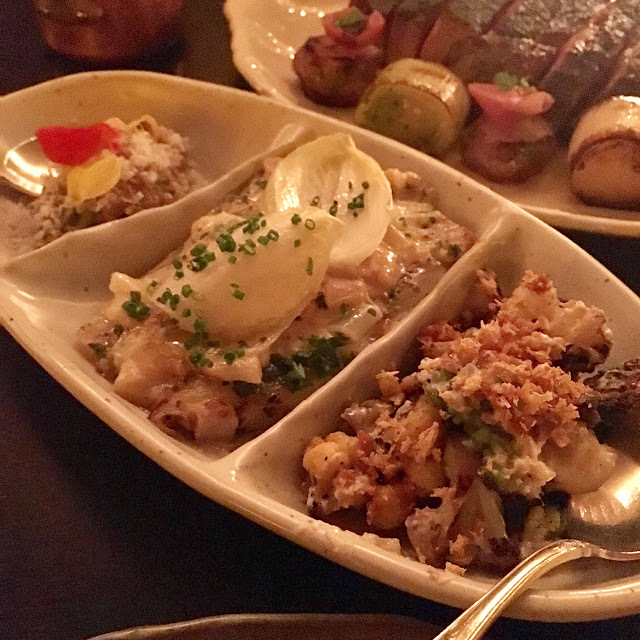 The food lacked the elegance and balance that should be delivered for a prix fixe menu. The only saving grace was the meat having been the best part of the meal as expected. 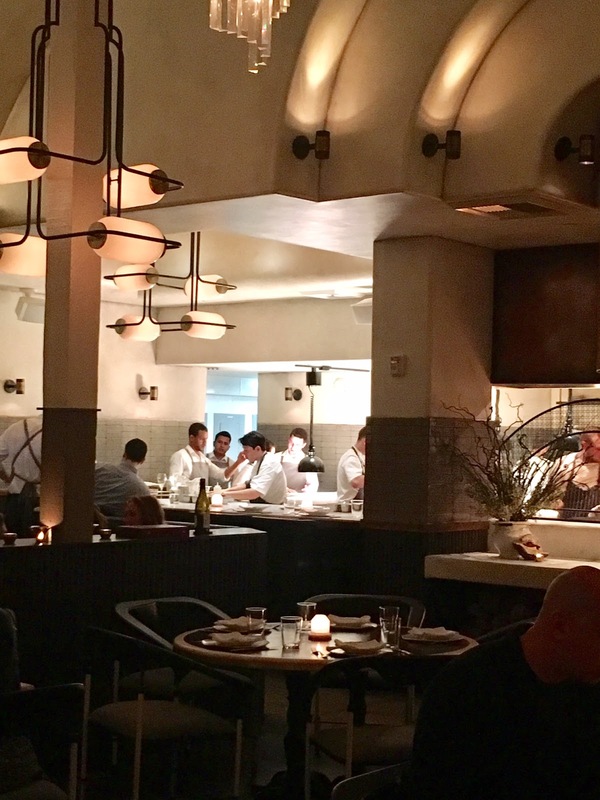 A better idea for the restaurant would've been to remove the prix fixe menu (since most of the dishes were not amazing) and to make the meat the star of the restaurant with the ability to order a la carte. Also, there was confusion with our bill having been overcharged for drinks we didn't order. For over $400, the experience should be stunning, the food should be delicious and the service should be impeccable and unfortunately, Gwen failed to deliver on all three points.